The shows took place right on the coast of Rhode Island, the cusp of land and sea. My inspiration comes from the Narragansett tribe, who are native to this land… the “people of the place crossing over”. 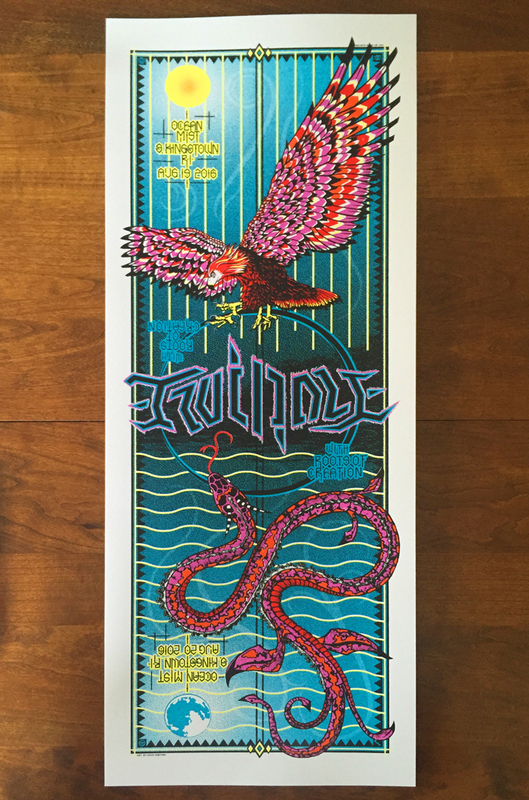 9″x24″ original poster art. 6-color Silkscreen on #100 cougar white paper. Show Run of 100.